Terry’s latest job is acting as a bodyguard for an Arab banker Bassam Sayin (Lee Montague) who has flown into the UK to transact some business deals. Sayin and Terry don’t quite hit it off as he’s far from impressed with Terry’s skills as a bodyguard (mainly because he doesn’t carry a gun). Naturally, Arthur’s convinced Terry that this will be easy money, so the idea that he would need to be armed instantly sets alarm bells ringing. But perhaps he should have been, as later Terry and Sayin find themselves menaced by a group of armed men …. 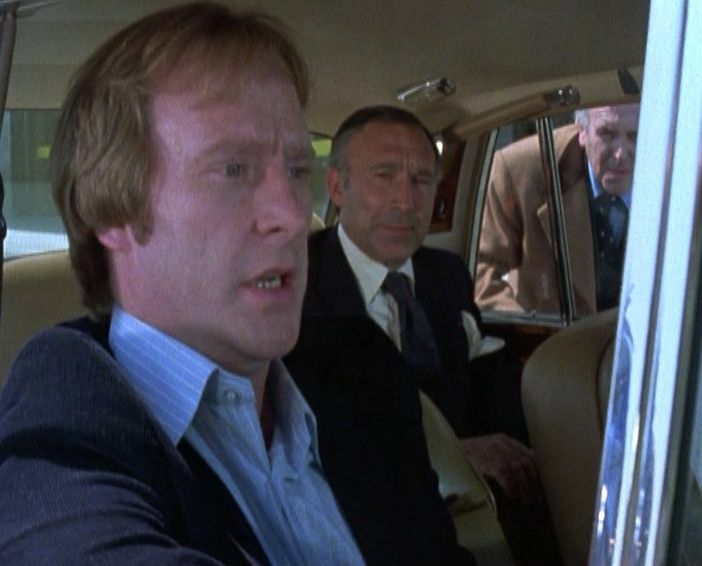 A Tethered Goat is one of my favourite episodes from series one of Minder – not only for the sparkling script from Murray Smith (incredibly his only contribution to the series) but also for the first rate guest cast. The pick of the bunch is Kenneth Griffiths as Sayin’s temporary valet, Dai Llewellyn. Dai’s Welsh (in case you haven’t guessed) and also likes a drink (or two). He’s pure comic relief and gets some of the best lines, such as when he spots armed men approaching the house. “Terry, shooters! Oh my god!”. It may not sound like much, but it’s all in the delivery and Griffiths is first rate. Lee Montague, an actor still going strong today, has a great deal of presence as Sayin. His relationship with Terry is the key to this episode and it’s fascinating to chart how their opinions of each other change (from distrust to mutual respect). Another couple of very familiar television faces, Michael Sheard and Nadim Sawalha, provide the menace whilst Jenny Lee-Wright (who was well-known at the time for the likes of The Benny Hill Show but is now a leading Foley artist, working on a score of major films) provides the glamour. As for Arthur, he attempts to ingratiate himself with Sayin in such an obvious way that it’s almost painful to witness. Sayin’s reaction to Arthur’s hustling is a joy to behold! But you have to give Arthur credit, he keeps on trying to make a profit – even when the bullets are flying.